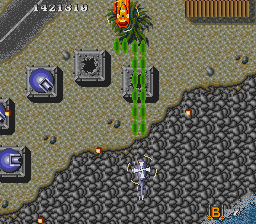 This hack replaces most background tiles and sprites (version 2.00) to make the game look closer to the arcade version. 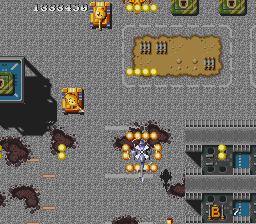 Palettes have also been modified to bring the game closer to the arcade version. 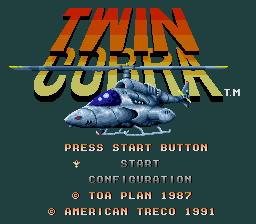 Includes one IPS patch for the NTSC-U version “Twin Cobra” and one for the the NTSC-J version “Kyuukyoku Tiger”. 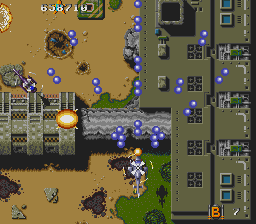 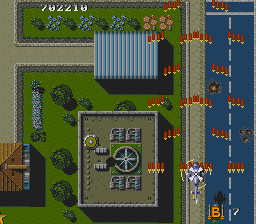 most sprites have been redrawn: enemy helicopters now have proper shadow and highlight colors, turrets are now blue as seen in most arcade stages, tanks are less yellow and have one more shade etc.